Bad Planet, Alien Pig Farm 3000, Shock Festival – Discuss RAW COMICS and other RAW publications here! Discuss the projects RAW has set up on the FILM side of things. 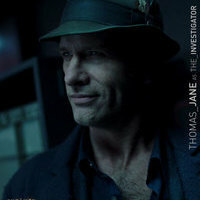 Fans of Thomas, this is the Official Tom Jane Forum, and Tom himself is in the house! Any suggestions, comments, complaints for the RAW Studios site? Then step right up and make them here. If you're new, stop in here to introduce yourself.